Choosing between franchise or starting your own business in New York is an important choice that can have a major impact on your future. The choice may, ultimately come down to your personality. Weighing the pros and cons of purchasing a franchise against starting a non-franchised business begins with some self-reflection. If you are an independent person that likes to experiment or wants to blaze your own trail, a franchise with rigorous systems and proscribed rules is probably not for you. If you want to run a business, but do not know where to begin, a franchise with its own established processes and IP may be the right choice for you. Of course, your initial budget is another factor to weigh. Branding: The reason consumers are guaranteed a consistent product when walking into a fast food franchise regardless of location is because franchises demand uniformity and systems are put in place to assist in guaranteeing uniformity. These traits allow business owners to have a built-in customer base that is familiar with the products when a franchisor is successful in effectively marketing in products or services to consumers. On the other hand, non-franchised businesses must create the brand and implement systems from the ground up. Control: Prospective non-franchised small business owners tend to enjoy more control over the details of their burgeoning business. That means developing branding, products, operating systems and intellectual property – and doing so on a trial-and-error basis. 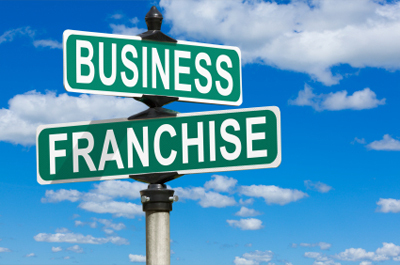 When starting a franchise, the prospective franchisee signs an agreement with rules laid out by the franchisor that must be followed. You shall have little to no control over the products offered, systems developed and marketing as a franchisee. Competitive Edge: For non-franchised small business owners, all that trial-and-error development costs time and money. For franchisees, your franchisor has hopefully created a successful system and brand. Franchisor other established units in the marketplace allow franchisees to open, hopefully, with fanfare from day one. Start-Up Costs: All new businesses require startup capital for space, equipment and personnel. While starting your own non-franchise business can cost less than buying a franchise, many franchisors have established relationships with lenders that look more favorably upon the brand than an independent business owner with an unproven track record. However, usually comparing apples to apples – a non-franchised business shall cost less money to open, since a franchise fee shall not be paid when opening a non-franchised business. Support: When you start your own business, you must learn on your own, with “rookie mistakes” part of the learning curve. However, local support in available in New York an in other states from the government and private agencies, however, active operational support is, normally, not available. Good Franchisors provide new franchisees with extensive training in most aspect of their new business. And many offer advanced training to help you stay on top of your business as it grows. That is not to say that non-franchised business owners are left alone. Small business owners can join their local Chamber of Commerce or other local business organizations and associations. Exit Plan: Starting a non-franchised business has high risk, but also high reward. Selling a successful non-franchised business can lead to a windfall, but the pool of potential buyers may be more limited than an known quantity like a franchise business. However, as discussed in our blog about succession rights in a franchise business, franchisors may have a structured systems that must be followed in order to groom a potential buyer. However, franchisees should also be able to sell the business back to the franchisor.